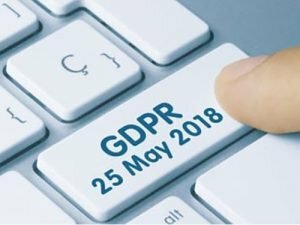 Home » GDPR – are you ready? Everyone is talking about GDPR! You’ll might get a slew of emails from everyone you’ve ever contacted or have a business or customer relationship with. They’ll be asking for permission to contact , asking you to opt in and there lots of conflicting advice around! MNC is getting GDPR ready. We’ll be conducting a data audit, getting fresh consent from our marketing list, ensuring all our soft ware partners are GDPR compliant to keep your personal data that you have shared with us safe and protected. We’ve been undertaking our own research on what seems to be a very confusing subject and if you’re not sure where to start and you’re feeling overwhelmed, here are our top 5 things to do now! 1.Stop panicking! Seriously, the Data Commissioner herself indicated that she wants companies and businesses to be working with the spirit of GDPR compliance. Yes GDPR has it’s been around for two years and yes, it is enforceable from May 25th BUT, no one will be trying to catch you out. There will not be a version of the Keystone Cops running about in GDPR uniform. Take a breath. 2. Do you research. Ignorance is never a defence, so do your research. Go to the ICO website https://ico.org.uk/for-organisations/guide-to-the-general-data-protection-regulation-gdpr/ and check whether you need to register with them – there is a simple check list you can use. 3. Make a note of all the software you use to run your business. Are they GDPR compliant? Ask them. Research it and if not, are they working towards it ? This could be everything from how you take payments, mailing lists , newsletters, CRM systems and if you pay staff – can you password protect the payslips? 4. Join a GDPR Facebook group. There are loads out there – you may be able to find one that’s exclusive to your line of work or industry. Again look around, there is bound to be one that talks to you ! We are not legal experts so these tips are just giving you the benefit of our experience and all our research . No one is quite sure how it will develop over the years but by arming yourself with information right now, you’ll be able to go about your business with more confidence after the enforceable deadline. Why Accelerate ? How to supercharge your business ! Copyright © The Mumpreneurs Networking Club, all rights reserved.